Riverland Dubai, the multi-themed dining and retail destination located at the heart of Dubai Parks and Resorts, today announced that the final touches are being added to its various retail, dining and entertainment outlets as it gears up for the official opening on 31st October. Riverland Dubai will connect the three theme parks and water park at Dubai Parks and Resorts, and will be open to everyone with or without a ticket to the adjoining parks, which means it will be experienced by every visitor to the destination. It will feature a wide range of restaurants and retail shops, coupled with planned street entertainment, making it the perfect place for families and friends to come together, relax and recharge. 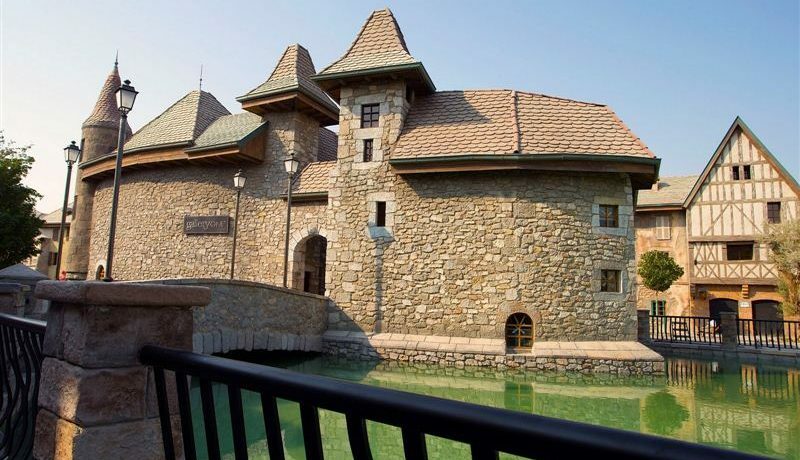 Guests will enjoy lunch or dinner on the banks of the one-kilometre-long river in one of the four uniquely themed zones that bring to life different eras of the past. Each zone has been designed to take guests on a visual experience through the ages from a medieval French village, featuring outdoor Mediterranean style dining and iconic landscapes, to the heady days of 1950’s America in Boardwalk, home to a range of casual dining options. India Gate, flanked by an impressive hands sculpture, will showcase the very best of 1930s India with its vibrant tastes, architecture and colours while Peninsula, which takes its architectural inspiration from the 19th century, will allow visitors to sit by the meandering river and enjoy casual dining options as well as live concerts and festivals. 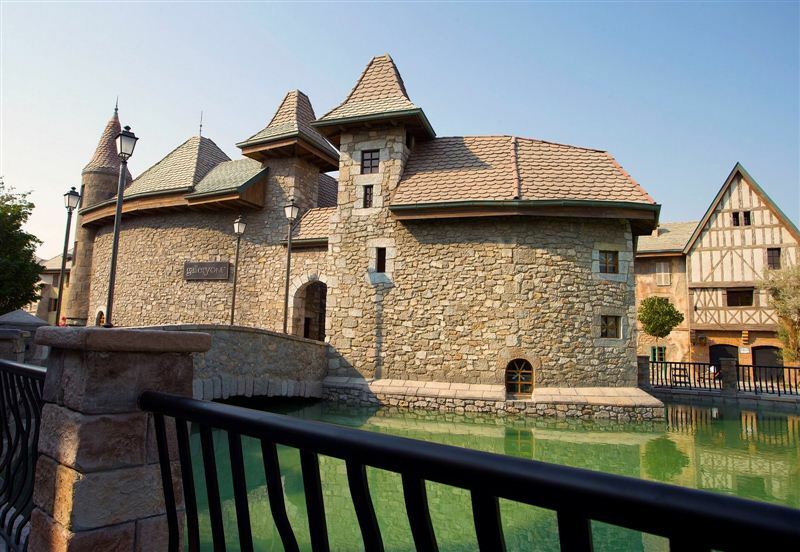 Riverland Dubai will also offer four unique event spaces including outdoor locations and a large indoor multi-purpose venue perfect for celebrations, parties and meetings. Riverland Dubai is part of Dubai Parks and Resorts which will also feature Motiongate Dubai – a unique theme park showcasing some of Hollywood’s most beloved characters from DreamWorks Animation, Sony Pictures Studios and Lionsgate as well Bollywood Parks Dubai, a first-of-its-kind theme park that will showcase rides and attraction based on some of Bollywood’s biggest blockbusters, in addition to the region’s first Legoland Park and a Legoland Water Park. Guests can stay at the Lapita Hotel, a Polynesian themed family hotel part of the Marriott Autograph Collection.